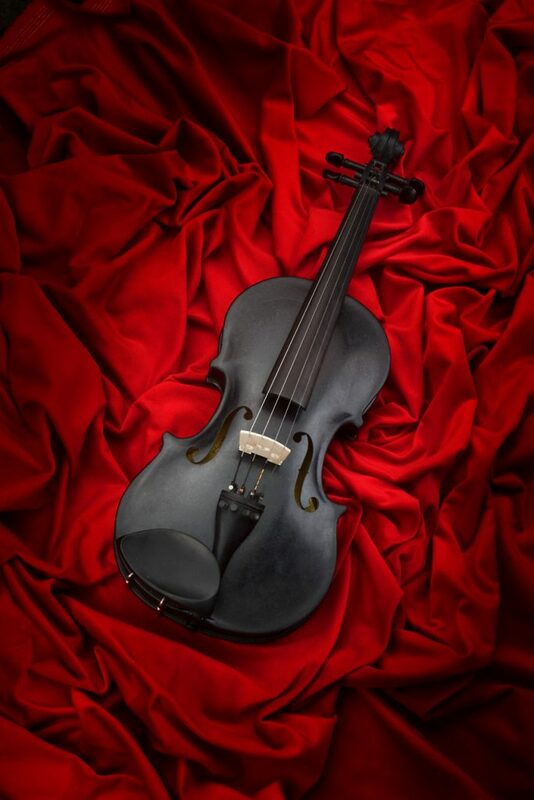 The Blackbird Violin: CARVED FROM HIS GRANDFATHER’S TOMBSTONE. AND MAMMOTH TUSKS. Violinists and violists can stop complaining about the weight of their half-kilo instrument. Ladeez gemmun, we present: the Blackbird. Carved from the sculptor’s grandfather’s tombstone. A shade over two kilograms. Certainly not home-made plastic. Fairly obviously, a lot of the motivation was “I bet you never thought of this one.” The official story is that Lars Widenfalk was working with large blocks of diabase (dolerite) to embellish a Norwegian TV building. He liked the ring of them when he was sculpting them and wondered what an instrument made of it would sound like. The violin is based on a Stradivarius design. The neck and body are made of a slab of diabase, that was previously his grandfather’s tombstone, and a slab of porphyry. The fingerboard, pegs, tailpiece and chin rest are ebony. The bridge is mammoth ivory (no elephants harmed in the making of). Note, by the way, that Widenfalk himself isn’t any sort of musician — he just liked the idea. But it seems to have worked out well. 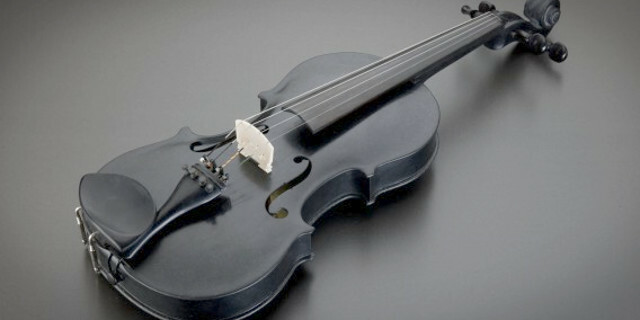 If a two-kilo stone violin carved from your grandfather’s tombstone and extinct animal teeth is too lightweight and prissy for you, Czech sculptor Jan Řeřicha has marble violins that weigh three and a half to six and a half kilos. And a marble guitar. And a marble organ pipe. Synthpop: Syntec, Torul (2016), Curxes (2015). Synthpop: Crystal, Vile Electrodes, Hante (2016).